Sakura Mamiya has been seeing ghosts since she was a child. Now she's a teenager and they're really getting on her nerves. But when you're usually the only person who sees the specters, who can you talk to without sounding crazy? Well, there IS that guy who sits next to her in class sometimes. Rinne Rokudo. But he seems to be absent a lot. And even when he IS there, other people don't always see him. 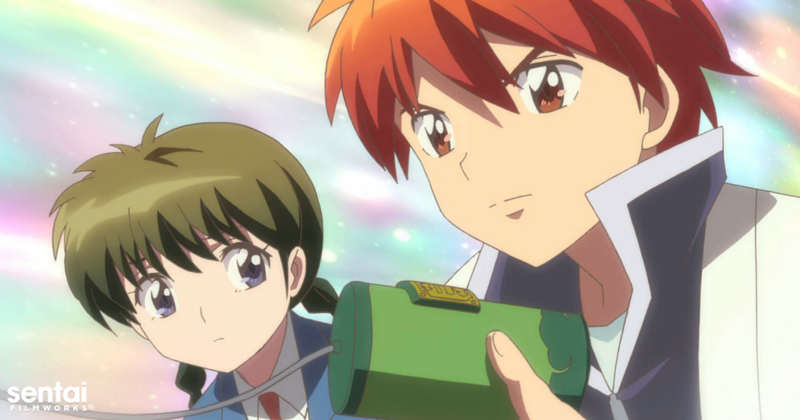 Because what Sakura doesn't know (yet) is that Rinne is part Shinigami and tasked with helping ghosts move from our plane to the next. Unfortunately, Rinne's not as powerful as a full Shinigami and could really use a little help. So… is this a supernatural hook-up made in Heaven or what? And if it isn't, wouldn't sending lost souls to the afterlife get deity-approval anyway? 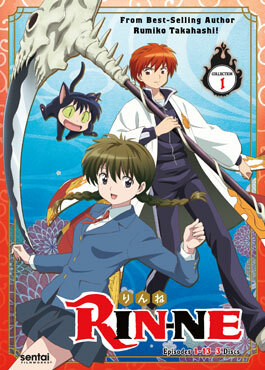 Drop your schoolbooks and gear up for an after-school exorcise program like no other as famed creator Rumiko Takahashi unleashes a spooktacular new masterpiece with RIN-NE! There's rarely a dull moment when Chika Ito and her friends get together: whether they're telling ghost stories, playing games, or taking trips to the beach and park, every day brings a new adventure. Of course, not everyone appreciates the constant presence of a pack of 12 year olds, and Chika's big sister Nobue might sometimes wish that Chika's friends weren't always underfoot. Especially troublemaking Miu, whose "help" with Nobue's job hunt is definitely not appreciated! Then again, Miu can cause problems just about anywhere, even when she hits her head and thinks she's in Heaven! And when the girls make a trip to the public baths, does anyone think they'll make a clean escape and scrub away every single piece of evidence? 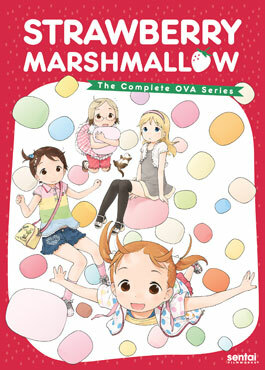 Either way, the funs sure to continue as the whole gang reunites in the complete OVA collection of STRAWBERRY MARSHMALLOW!